Want tough? 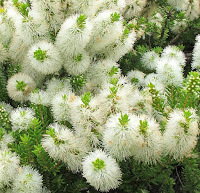 Then this plant is for you as it thrives in the harshest of conditions. 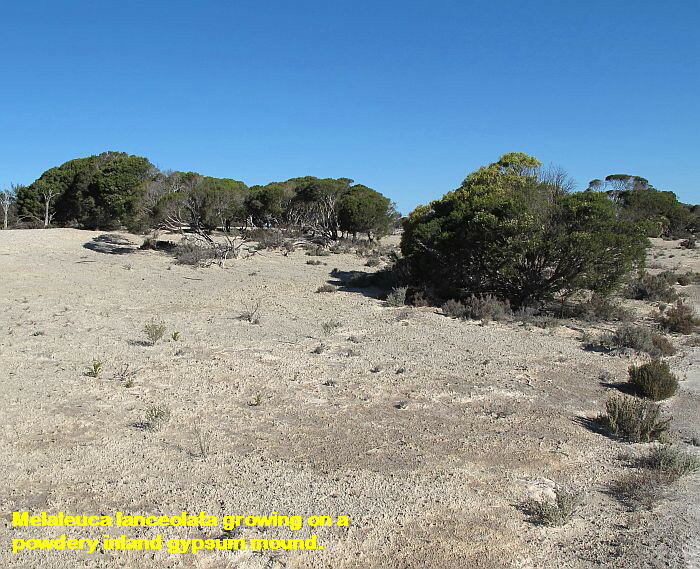 It is recorded growing in a variety of soils, but locally favours limestone and exposed sandy calcareous dunes overlooking the ocean, plus on inland gypsum mounds and on the edges of Samphire zones around saltlakes. 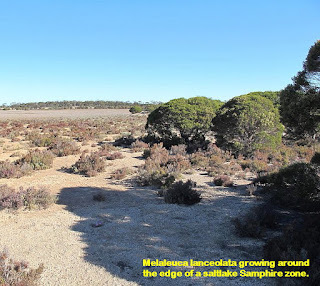 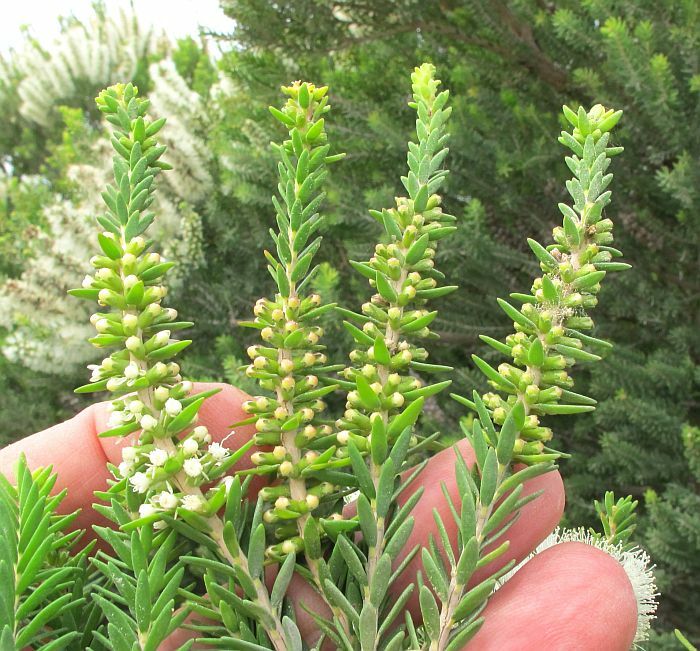 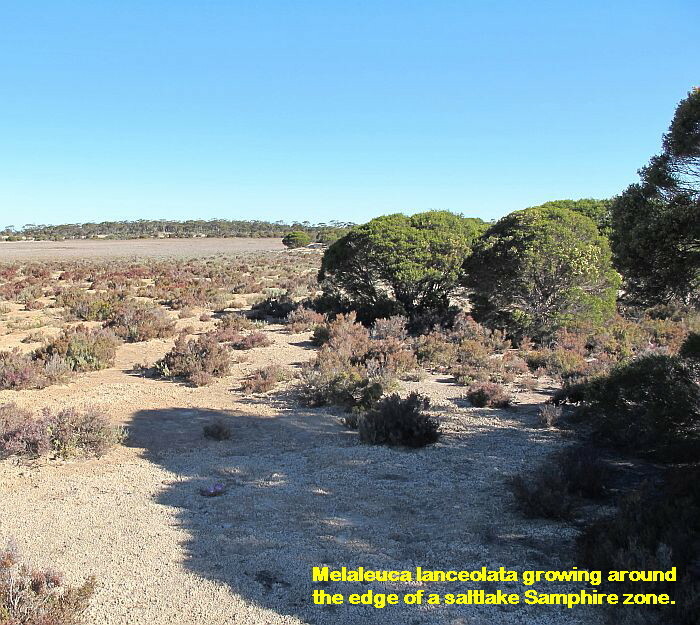 So strong salt-laden winds, alkaline and saline soils, plus extreme heat and dry conditions are the norm for Melaleuca lanceolata. 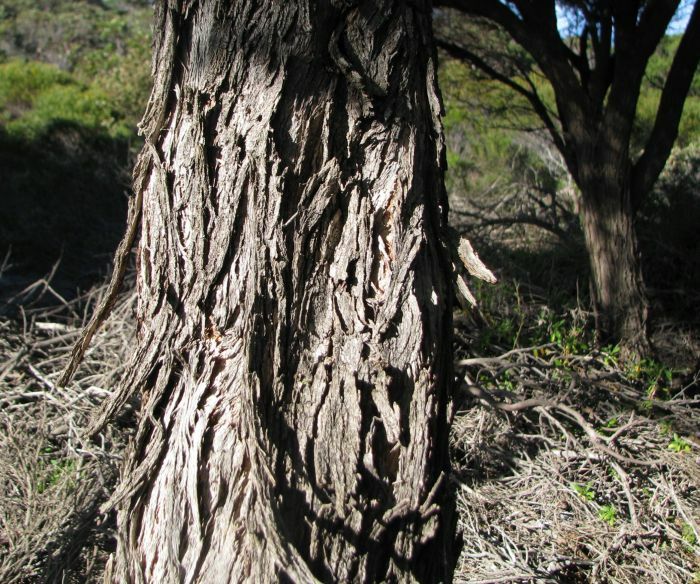 This plant that is also known as the Black Paperbark, Moonah and the Western Black Teatree is found right across the southern portion of mainland Australia, most commonly in the habitats described above. 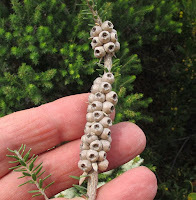 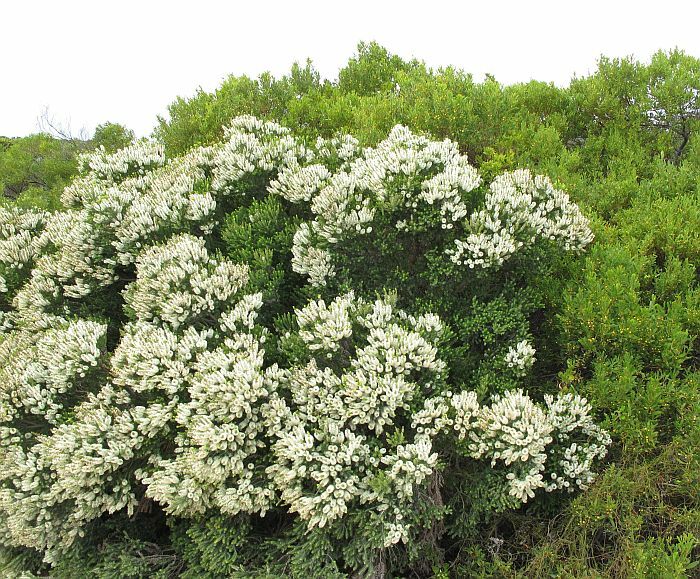 However it is probably not native to all environments in which it grows, as it is commonly used as a farm tree, plus fishermen and campers seeking its shelter near the coast, accidentally carry the fine seed to other places. Melaleuca lanceolata adapts readily to habitat and in exposed dry inland conditions will usually grow as a bushy shrub from 2-4 metres (6’-12’) in height, but in less severe places it can be a low branching bushy tree to 8 metres (26’ in height). Due to its bushy nature, it provides dense shade often when there is little else, so is very popular with people, kangaroos and others during summer. The nectar rich, white bottlebrush flowers are produced in ornamental profusion, which depending on local weather conditions can bloom anytime from January to September and are very popular with honeyeating birds, not to mention various insects like honey bees, etc. 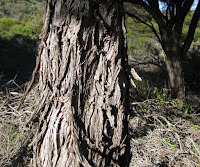 The trunks do not have the white paperbark of most large Melaleuca spp., but a rough dark one, probably an adaptation to an arid dry environment. 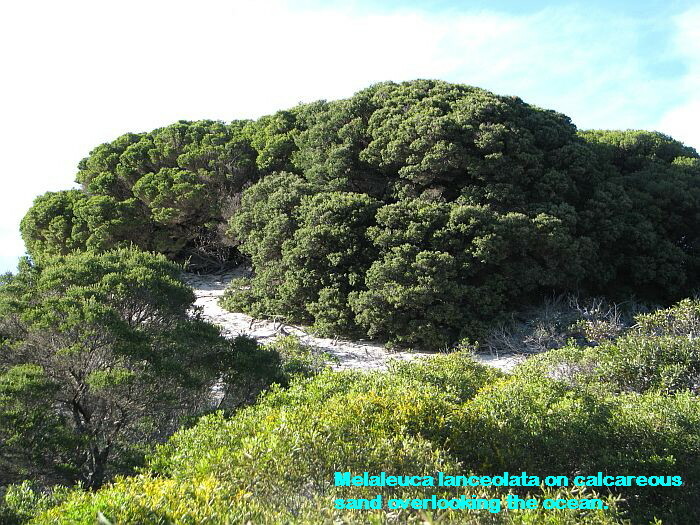 Melaleuca lanceolata besides being an exceptional windbreak, shelter and honey producing plant, also has hard durable timber that is used for fence posts, craft woodworking and firewood. 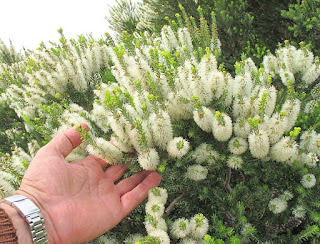 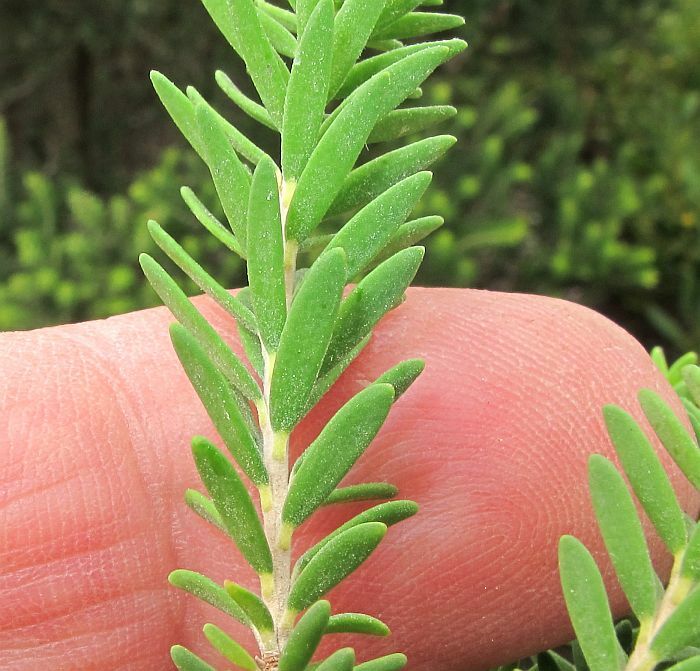 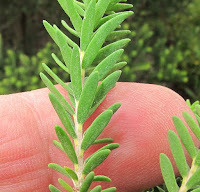 So if you need tough, Melaleuca lanceolata has a great deal going for it. Melaleuca is part of the very large and highly diverse Myrtaceae (Myrtle) Family.